Q: I need to sign PDF documents with my USB Smart Card. Can I do that using PDF Studio on my Linux system? A: Yes, you can. 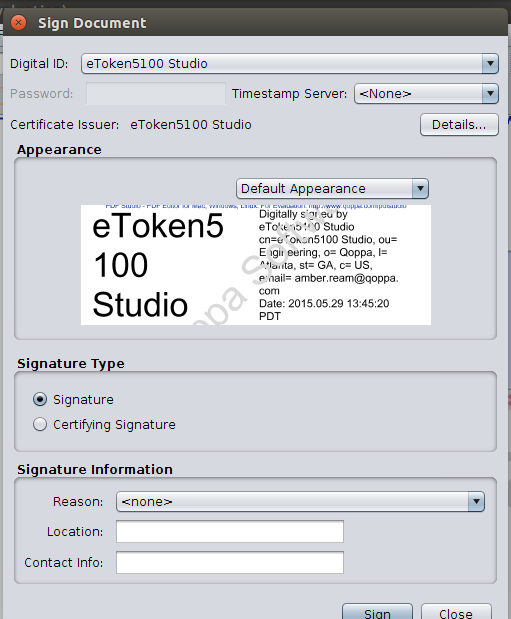 Starting in PDF Studio 10.1.0, we allow users to sign a document using their USB Smart Card. You can see the setup below as a reference. In this example, we used Safenet eToken 5100 on Ubuntu 18.04, different devices might have different setup. 5. 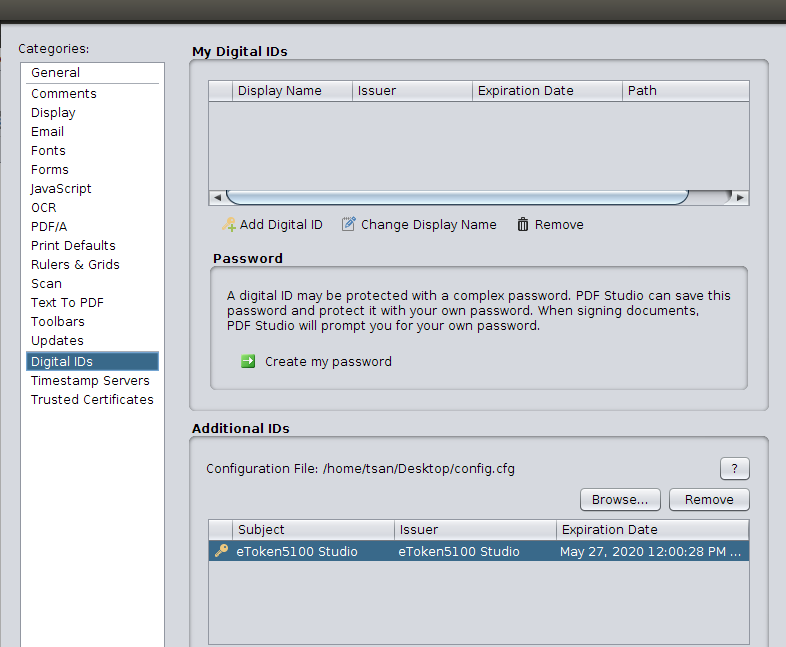 Open PDF Studio, go to Edit -> Preferences -> Digital IDs. 7. Browse the “config.cfg” which we created in step4. 8. Input the password on your smart card/token.